At the 2013 CES, Huawei unveiled the the HUAWEI Ascend D2 runs Android 4.1. It features a 5-inch FHD IPS+ 443 PPI Super Retina LCD display, Huawei’s K3V2 1.5 GHz quad-core CPU, a 13 MP BSI camera, WiFi and supports Dolby surrounding sound and stereo recording. With its 3,000mAh battery and Huawei’s proprietary Quick Power Control (QPC) and Automated Discontinuous Reception (ADRX) battery efficiency technology, the Ascend D2 has a stand-by time of six days on WCDMA . 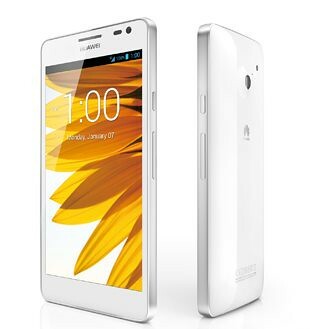 Available in pure white and crystal blue, the HUAWEI Ascend D2 will also be produced in a 4.7-inch screen version. The HUAWEI Ascend D2 will be on sale in China in January 2013, and in Japan in the future.